Crush graham crackers in a food processor and mash together with a fork with other crust ingredients until it's well mixed. 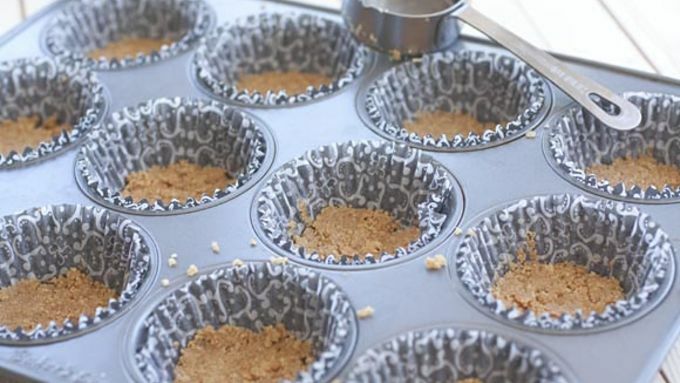 Line 12 cupcake tins with cupcake liners and pack in a large tablespoon of crust into each tin. Use a 1/4 cup measuring cup to pack the crust down. Bake crusts at 350°F for 9 minutes. Remove and let cool. 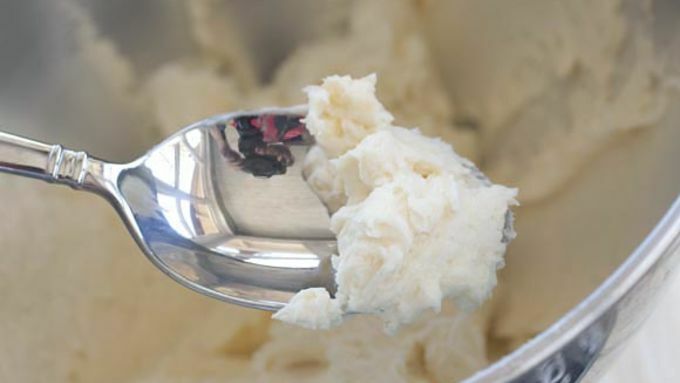 For filling, add cream cheese and sugar to a mixer and beat until mixed and fluffy. Add in eggs, apple sauce, and spices and beat until smooth. 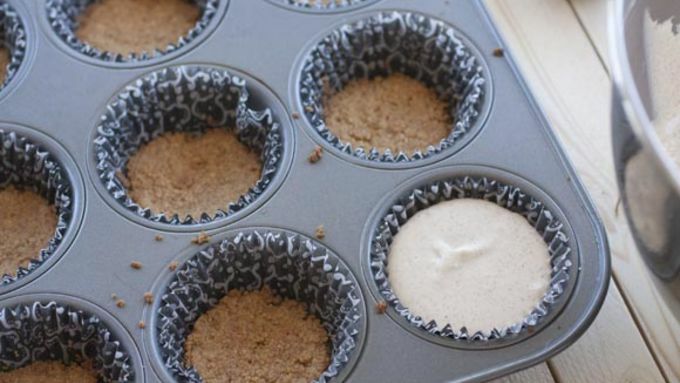 Spoon filling into cupcake holders and fill almost to the top. Bring 4 cups of water to a boil and preheat the oven to 325°F. Pour boiling water in a large baking dish on a bottom shelf of the oven to create a lot of steam in the oven. Place cheesecakes above the steaming water on a separate level. Bake for about 25 minutes until the cheesecakes are just set. 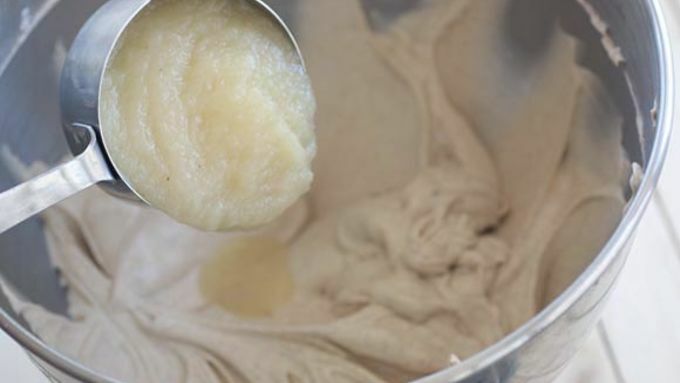 For frosting, beat butter and sugar together until smooth. 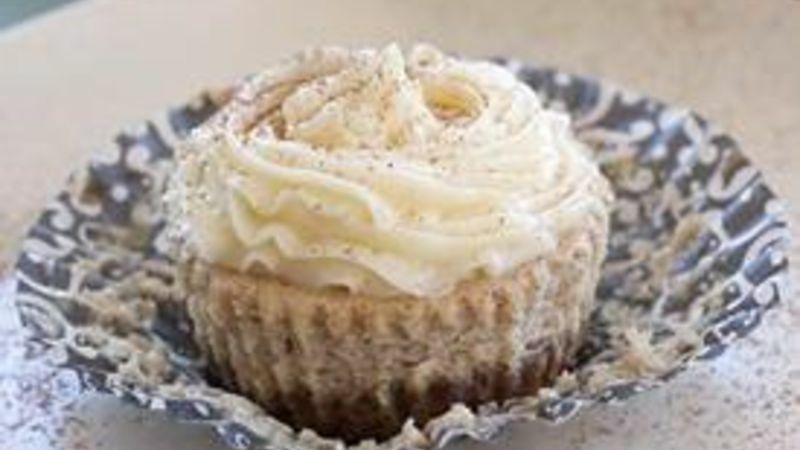 Add in vanilla and enough cream to make the frosting easy to spread, about three tablespoons. Once cheesecakes are cooled, frost either with a knife or a frosting bag. Dust with cinnamon and serve. 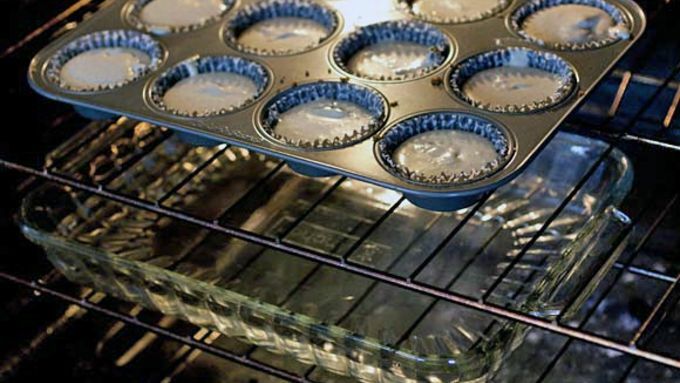 Refrigerate cupcakes for storage. Normally, when I see a something turned into a mini-thing for a recipe, I assume it is going to be harder to make. That is simply not the case with these little cheesecakes! They are as easy (if not easier) than if you were to make a large version. Plus you don’t need a fancy spring form pan to make these. 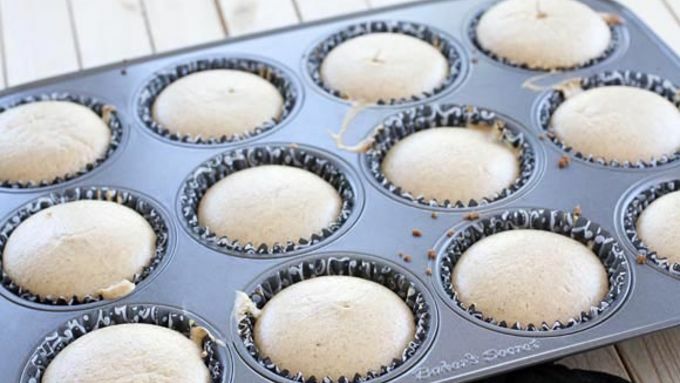 You use just a normal muffin tin! 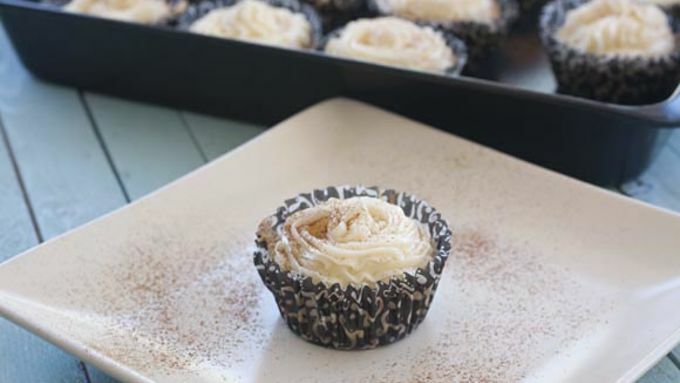 There’s really no reason why you shouldn’t make these mini apple cinnamon cheesecakes as soon as possible. As with any cheesecake, it’s a good idea to bake these guys with some steaming water in the oven to create a really moist environment. If you don’t do this your cheesecakes might be on the dry side. When they come out they shouldn’t be really browned at all and should be barely set. If your cheesecakes are browned or cracked, that probably means your oven is hotter than the gauge says. If you don’t eat all of these immediately, store them in the fridge since they have so much dairy in them.